Switching from regular to diet soda may offer a short term cut in calories, but your body won’t be fooled for long. Research suggests it reacts to certain nonnutritive foods, including the artificial sweeteners in diet soda, in ways that may harm your health. Here are three reasons to kick your diet soda habit for good. Current research suggests the brain reacts to artificial sweeteners much like it does to sugary sweets. Ingesting them frequently may result in an increased desire for high-calorie foods such as sugary treats, putting you at a greater risk of both weight gain and consumption of low-nutrient-density foods. One study even found that overweight individuals who switched to diet soda were more likely to consume more calories in food than overweight individuals who drank regular soda. 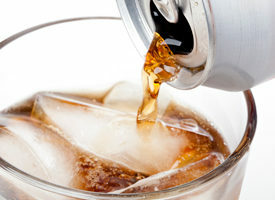 Further, those who drank diet soda had a higher BMI than their counterparts. And other research has suggested that the rise in diet soda consumption positively correlates with increases in our weight as a nation. The brain normally associates “sweet” with calories. In the realm of human physiology, that’s a good thing. It drives your body to release insulin as sugar’s chaperone to the cells to create fuel. In the past, people assumed this process could not occur when we consume artificial sweeteners because calories don’t follow the sweet flavor. However, a 2013 study found the process could very well happen. In the study, individuals who consumed a specific artificial sweetener (sucralose) had increases in both insulin and blood glucose levels. Further research is needed, but the findings were significant. Why? Because frequent rises in insulin have been linked to insulin resistance and an increased risk of type 2 diabetes. 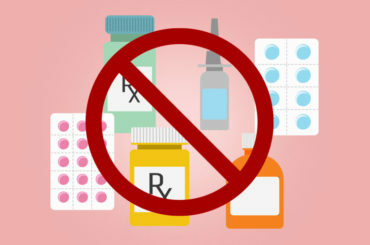 A more recent study in mice resulted in similar findings related to glucose intolerance. And past research has associated artificially sweetened sodas with increased risk of stroke and a greater chance of being obese. 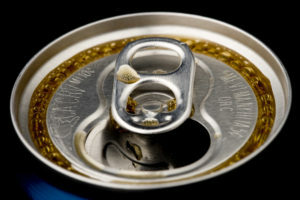 A 2012 study compared MRI results in college students who drank diet soda (averaging at least eight per week) with those who drank regular cola. Both groups activated similar reward areas in the brain. But students who drank the most diet cola each week had the least amount of activity in an area of the brain associated with the desire to consume “palatable” foods — often those high in fat and sugar. Put simply, those who drank the most diet soda seemed to alter their brain’s sweet-sensing reward center. That could change how the brain reacts to cravings for high-calorie foods. So is it better just to drink sugar-sweetened soda in the first place? Not so fast. There is abundant data that tells us that sugar (even when it’s “real”) is not necessarily a sweeter alternative, at least where health is concerned. 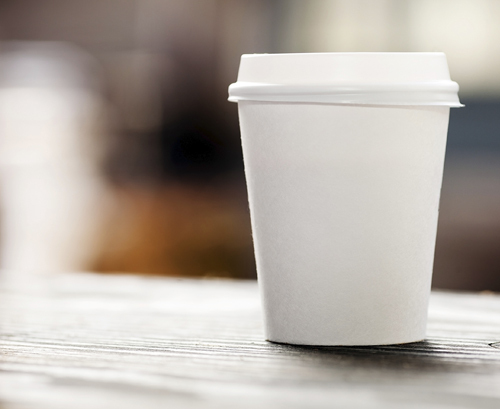 If you crave caffeine (in moderation, of course), you are likely better off with plain coffee or tea. If you savor flavor, try freezing raspberries, blueberries, cucumber, mint, lemon or lime pieces in ice cubes to add zing and a hint of sweetness to water. You can even use them in soda water to recreate soda’s bubbly appeal. Quitting a habit is never easy. But for my patients — and for you — I recommend kicking soda all the way, whether it is regular or diet. Doing so can have profound effects on both your weight and your health.